Jackson recommends sifting through potential clients until you connect with the right people. QR: Who started your company? QR: When and how did you choose this career? DJ:Started in construction as a carpenter in 1978. QR: What did you do before becoming a remodeler? DJ: Siding, framing, concrete and shotcrete, swimming pool builder, interior trim, construction superintendent and custom home builder. QR: What motivates you every day? 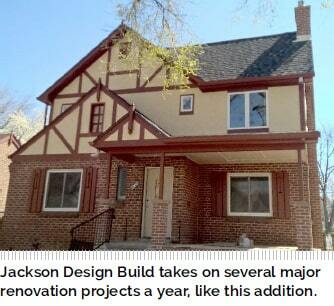 DJ: I get to do what I have always wanted to do—build and renovate homes. I get to work with my son to build and grow this company. QR: What does being part of NAHB Remodelers mean to you? DJ: We think it is important to know your market and your contemporaries/competitors. Most builders and remodelers I know are very much like us. We share information, refer work, share subcontractor trades and learn from each other. 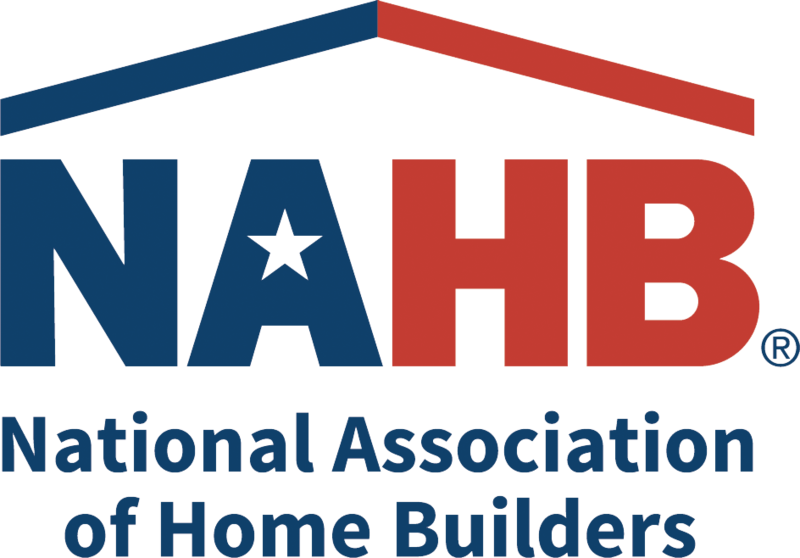 The NAHB and local HBA remodeler and builder programs allow us to make the choice to be leaders in our industry. I am sure that it is helpful to each of our team members to learn more than others learn on their own by being a part of the HBA. QR: Is your current focus as a remodeler on more growth or steady revenue at greater profitability? DJ:Our focus as remodelers is to augment our new home construction revenue with renovation projects that have a shorter timeline. In addition to the five-to-ten new housing units we create every year, we undertake two to three major renovations ($350,000 or more). Many of these projects are for existing or past clients. Also, keeping our remodeling skills sharp enables us to do dozens of smaller home modifications for our local nonprofit, the Home Builders Foundation. In conjunction with many other builders, material suppliers and local remodelers, our foundation regularly completes over 75 projects at no cost to the recipient families. This allows many individuals and families with special needs to stay in their homes longer and live more independent lives. Our work with the Home Builders Foundation continues to be a primary focus for our remodeling efforts. QR: What is your No. 1 source of leads right now, and why is it working? QR: What is the most unusual project your company has completed? DJ:The period-sensitive renovation of a 1800s castle in Denver. QR: Where do you go to look for solutions and ideas for your business? DJ:We use the network we have established through the HBA. It provides education, networking opportunities and a wealth of resources for us. We are currently interviewing to join the Builder 20 Club program through the NAHB to further develop that resource network. QR: How has the remodeling profession changed since you've been involved? DJ:Mostly the change has been in the clients. They are all internet savvy, and they learn from misinformation on the web to have incorrect expectations relative to timing, cost, complexity and difficulty of projects. I spend lots of time sifting through potential clients that are just looking for a good deal to find those who truly are quality conscious and are willing to have work done right. QR: What is the best advice you've received in your career? DJ:Sometimes it is more important to know which jobs or customers to avoid and not work with. If you have red flags, pay attention to them. Don't be afraid to pass on a customer even if you need the revenue. QR: Is there anything else you'd like to mention about career accomplishments? DJ:Two guiding principles that keep us focused: The customer is always No. 1—without the customer, we have no business. And do the right thing, even if it hurts.